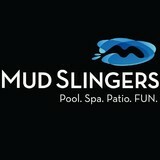 With Mud Slingers Pool and Patio, you will be getting the best in customer service regardless of the type of pool that you need. Servicing Indianapolis, Carmel, and Fishers, IN, we will come to you to install the in ground swimming pool of your dreams. As a family owned business, with over 65 years of experience, we are able to provide you with exceptional customer service that you will not get with the other guys. As a matter of fact, we will go out of our way to reduce the total cost of operation. With a quick phone call, we will explain exactly how we complete that process. So now, when you are having custom swimming pools installed, you will know that you are also saving money. If you need a concrete swimming pool or a vinyl liner swimming pool, then give us a call first. With our exceptional customer service and low rates, you will not want to go anywhere else. We will work hard to get your business so that you can have your swimming pool installed with top quality. As part of our money saving efforts, we will even teach you how to make your own chlorine. In other words, you will get the service from us that you will not get from anyone else. We will save you money and teach you how to save even more in the future. Some of our customers want a saltwater pool. These pools provide an alternative to traditional chlorinated pools, and we have been able to provide saltwater solutions, as well. Calling our friendly customer service representatives, you will be able to find out answer to any and all of your questions. Do not hesitate. Get things going to get your pool installed and enjoy your summer swimming today. 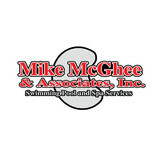 We provide the quickest, most professional service in the automatic pool cover industry. We’ve been in the pool cover business for more than four decades. In that time, we’ve researched and learned all there is to know about how automatic pool covers work. Our experience and expertise allow us to provide the most efficient service in the industry. 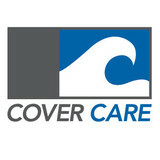 Coverstar Central the largest distributor of covers in the United States. Our covers provide safety, substantially reduce evaporation & chemical consumption, aids in heating the pool. A Coverstar cover makes it easier to relax and enjoy your pool! Pools and hot tubs are great fun, but they also come with not-so-fun upkeep and maintenance. That’s where Anderson, IN pool cleaning services come in — leave the dirty work to the professionals so you can enjoy swimming and relaxing without a single worry. Whether you’ve got a leak, cracked tile or just need recurring cleaning, you’ll need an Anderson swimming pool repair and maintenance company that you can trust to get the job done right. What should I look for when hiring a pool cleaning service in Anderson, IN? Pools and hot tubs are big investments, so you’ll want to make sure to protect them by hiring an expert who cares about them just as much as you do. Check that the Anderson swimming pool maintenance service you are interested in actually specializes in the type of pool you have — chlorine and salt water pools have very different needs, and in-ground versus above-ground pools will require different upkeep and repair methods. Also, know who will be doing the repair or service; if it’s one of the larger swimming pool services in Anderson, IN, request that you get same person every time, otherwise you could get inconsistency in treatments. Good Anderson pool professionals will keep a consistent schedule and log everything they do so that it can be referenced in the event that you switch companies or something does go wrong. Like any other professional, look for local pool cleaning companies near you with plenty of good reviews and relevant experience. 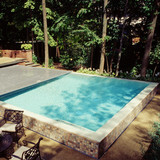 Find an Anderson, IN swimming pool repair and maintenance specialist on Houzz. Narrow your search in the Professionals section of the website to spa and pool maintenance companies in Anderson, IN and read reviews and ratings for pros in your area.